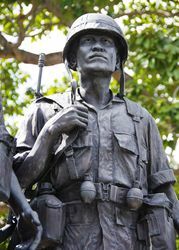 The War Memorial commemorates those who served in the Vietnam War. 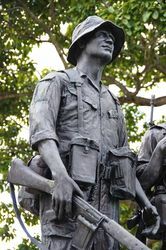 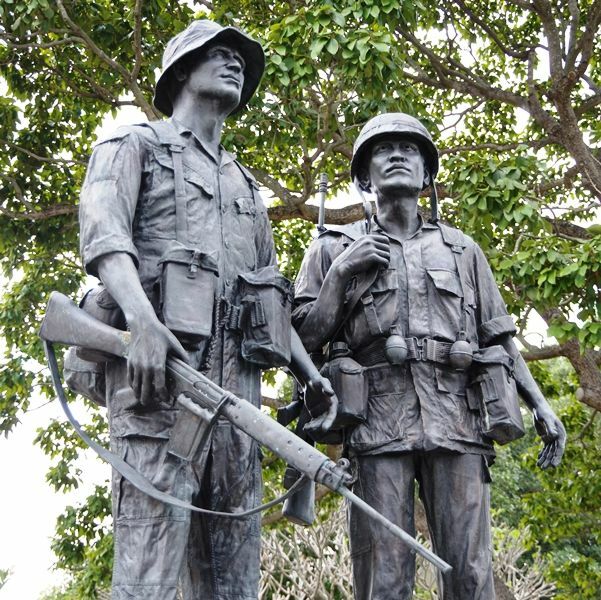 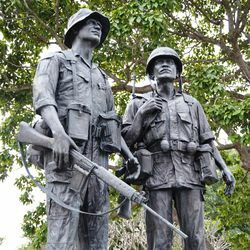 It features two life size bronze statues dedicated to the armed forces of Australia and The Republic of Vietnam. 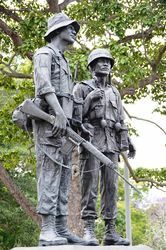 On the left is an Australian Infantryman and on the right a South Vietnamese soldier. 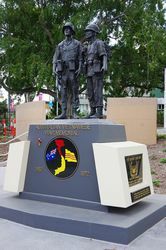 This Memorial was created by The Australian-Vietnamese Memorial Building Committee, in conjunction with the Queensland State Branches of the RSL, VVAA, VVFA and the South Vietnamese Veterans. 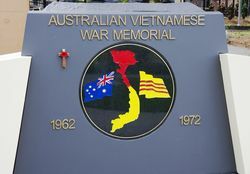 Support came from Australian and Vietnamese people in Queensland, interstate and overseas. 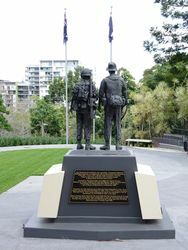 and Treasurer of Queensland, 16 September 2005.